Geeklings, a very Happy New Comic Book Day to you all! How is everyone on this Wednesday? You ready for some comic books? When I wrote that I was sort of picturing one of the announcers from those Jock Jam albums they used to get you all pumped up for… the jock jams. Something like, “ya’ll ready for this”, and then some blaring horns and a lot of bass. I’m not really sure the way I wrote it conveyed that thought though. It’s sometimes hard to convey blaring horns and strong bass when writing though without actually saying, “insert blaring horns and strong bass here“. Maybe I should have done that? I think I’m harping on this too long. The long and the short of it is today is New Comic Book Day and all is right in the world. There are only two days left in our work week and we can fill those two days with brand new comics to read. Unless you binge them all today then you’ll have to fill those two days with Spider-Man on PS4 and trying to figure out who the new Superman is going to be. Don’t get me wrong, both of those things are massive amounts of fun, buuuuuut comics guys. Comics for days. Speaking of which, you guys ready to start talking about what you should be reading? Because I’ve had this list of comic suggestions since early this morning that I’ve been dying to share. 1. Infinity Wars #3- Marvel’s latest event, Infinity Wars, has been off to a strong start. With a prelude chapter that brought about the shocking death of Thanos to a first issue that revealed Gamora to be the stories villain and then sprinkle in a near death for Star Lord and Gamora taking control of all the Infinity Stones, and you’ve got something special here. Gerry Duggan has taken the shift of power and crafted a Gamora that is part badass baddie and sympathetic crazy. Unlike Thanos, it appears that Gamora’s heart is in the right place here buuuuut she is the daughter of Thanos and some things don’t fall that far from the tree. Like wielding Infinity Stones. Issue three is an interesting book that sets up a number of the tie-ins as well as giving us a better understanding of what Gamora is trying to achieve here. Mike Deodato Jr’s art continues to shine and highlight the tension within the conflict. 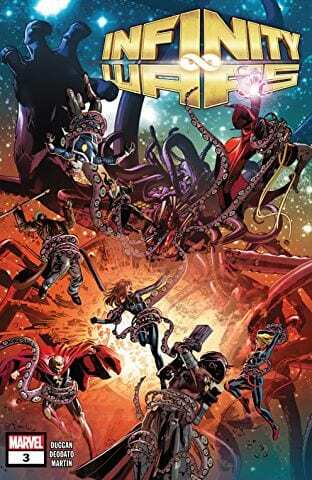 I will say the book kind of abruptly ends but three issues in and Infinity Wars still has my attention which is a good sign for an event comic. 2. 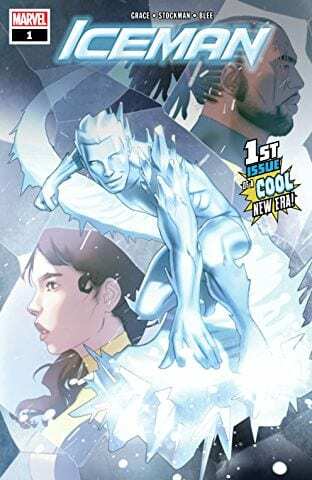 Fantastic Four #2– Remember last month when Marvel published its first Fantastic Four comic in like three years and everyone got all types of excited to see the first family reunite. Do you also remember the fact that that first issue actually didn’t bring the Fantastic Four back together and mostly consisted of Johnny and the Thing and some cat adoptions? Yeah, that was a bummer and left a lot of fans sort of scratching their heads. 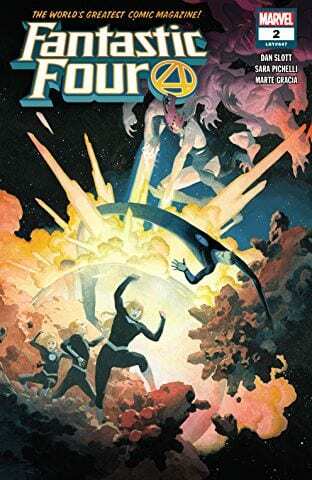 The return of the Fantastic Four is such a momentous event that the book almost seemed destined to not meet expectations. Dan Slott isn’t concerned though and like the end of issue one promised, the first family is finally getting back together. For real this time. Issue two comes with a little less pressure and the reunion we’ve been waiting for. Just what exactly have Sue, Reed, and the children been doing all this time? Will they even want to stay on earth or is there more work to be done? Look for some of those answers to start surfacing with this issue. 3. 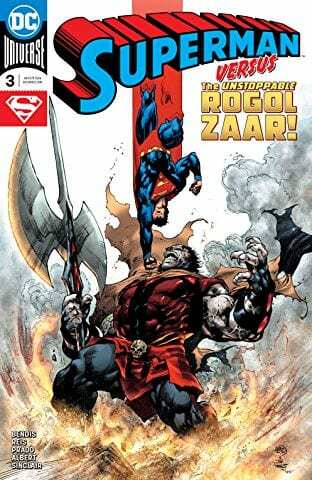 Superman #3- Today has been an interesting day if you’re a Superman fan with the reports that Henry Cavill will be leaving the role in the DCEU leaving the internet wondering who could be the next Man of Steel and what this means for the DCEU. I’ve found the chief complaint about Cavill’s Superman was the writing and storytelling, and it’s the one I agree with the most. Cavill wasn’t the Superman we know and love until the last half hour of Justice League, and while I’m sad to see him go I am hopeful that the DCEU can pull itself in the right direction with writers and directors who understand the characters they’re presenting. In the meantime though, if you’re looking for good Superman stories than why not read some of the comics? Brian Michael Bendis has been killing it with his run as he looks to not only leave his mark on Supes but change his status quo a bit too. Remember kids, the movies are based on comics so go to the source material where all these wonderful, seemingly endless, stories currently live waiting for your eyeholes. 4. 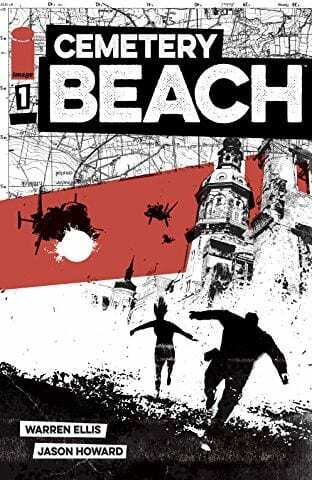 Cemetery Beach #1- I’m not entirely how to explain this book but I’m going to try. A professional pathfinder, the job is exactly what you think it is, breaks out of some kind of torture facility and tries to escape a colony that isn’t really mapped out. Which makes getting picked up a bit difficult. Simple enough, right? Well, throw in the fact that this place is inhabited by a bunch of lunatics (literally) and that his only friend is a murderer and you’ve got yourself a bit of a pressure cooker here. 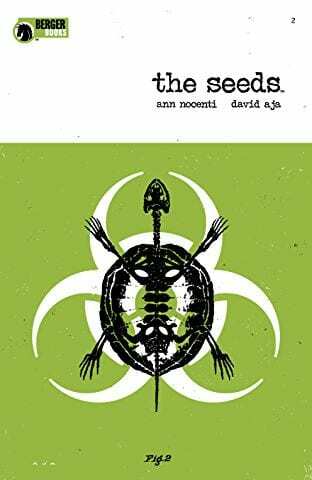 Warren Ellis and Jason Howard bring a brand new series to Image that’s sure to be bonkers which makes us all winners. 5. 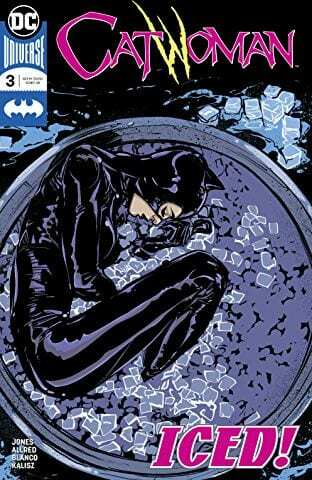 Catwoman #3- Things haven’t been exactly great for Catwoman since she left Batman on the alter a couple of months ago. New town, new problems, new series. Opposed to lying low and trying to mend the pieces of her broken heart, Catwoman finds herself in a copycat situation where there a number of different Catwomen committing crimes in her name. Needless to say, that’s not going to jive well with Selina. 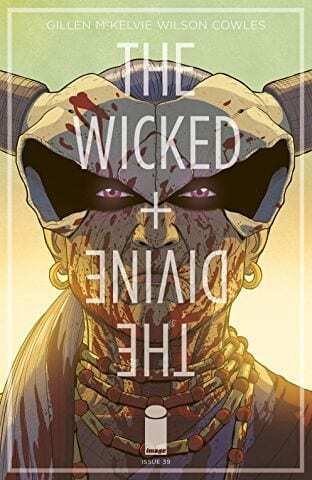 Joelle Jones is working overtime on this series as it’s writer, penciler, and inker and that type of work should always be appreciated. Plus it feels like an appendix to Tom King’s Batman run, and who doesn’t want more of that? There you have it Geeklings, all the best books to get your mitts on this week. As always, if you feel like I’ve left anything off be sure to sound off in the comments. 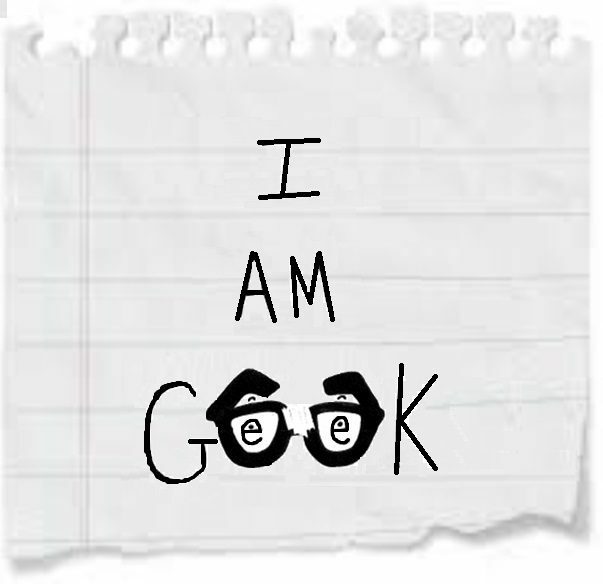 If you’d like to talk more comics with yours truly then you can find me on the Twitter @iamgeek32. I’m always willing to talk comics and if you tell me what you’re reading I’ll be sure to give you a special shout out in the column just like James Aloysius Santana did when he told me was looking forward to Infinity Wars, X-Men Blue, Fantastic Four, and Wrong Earth. Look at that, bonus comic suggestions! Boom! If you want to share what you’re reading don’t be shy and I’ll give you mention next week. Until then my friends, happy reading and many huzzahs!